Implementing the agile process for software development efforts is just the beginning. To achieve the requisite collaboration between business and IT, to succeed using agile methods across multiple teams, and to truly achieve an agile culture requires a new agile mindset that is coached, learned, and adopted over time. The scrum master is a critical role in creating and maintaining the patterns of behavior that define agile development, as well as ensuring the development efforts proceed on a path to success under deadline and with available resources. 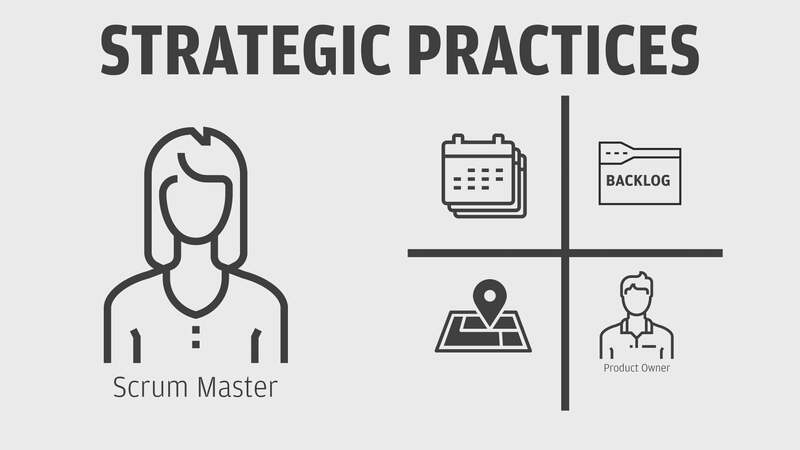 Watch this instructional video to understand how a scrum master can help a team learn agile development and follow a scrum process to develop new applications. Scrum is the most widely used of several agile frameworks that help organizations implement agile development processes—according to a recent survey, 89 percent of respondents use the scrum framework. Scrum.org, one of the primary groups driving education around the scrum process, recently published a list of scrum values that include courage, focus, commitment, respect, and openness that are the foundations of its working process. The basic scrum process is relatively straightforward. A product owner is responsible for defining who the customers are, their values, and a vision for how to deliver or improve a product or service. The product owner works with a team to define a backlog of user stories that aim to achieve this vision. Each user story defines what is being worked on, for whom, why it’s important, and what constraints the solution must consider. The heart of scrum is a working cadence, or sprint, of usually between one and four weeks in length. At the start of the sprint, the product owner prioritizes the backlog of stories—essentially, the queue of issues to address—based on the customer feedback, business value, and other factors. The team reviews the priorities and commits to the ones that they can fully get done within the sprint’s duration. Every day, team members hold a daily standup meeting to report progress and escalate blocking issues or impediments to their ability to complete stories. They do this together so everyone is informed and has a chance to help. At the end of the sprint, the team hosts a demo to showcase the user stories they completed and then performs a private retrospective to discuss process improvements. The process then repeats itself for each subsequent sprint. That’s the theory. Going from this basic process to a working one that delivers technology aligned with customer needs requires a more defined practice. Some of it falls under governance, especially if there are multiple teams practicing scrum. Questions like the length of the sprint, formal responsibilities of the product owner, what tools that will be used to manage the scrum process, and other organizationally practices are usually defined as governance. On the other hand, the specifics on what should be documented in a user story, how teams get user stories fully written in time for commitment, how blocks are handled after the standup, and how demos and retrospectives are conducted are usually managed by their teams. That self-management exists because the nuances of the project’s requirements, team structure, experience of team members, and maturity around technology often influence how a team elects to run its process. If it’s left to the agile development team to manage the process, the question is how does the team go from working knowledge of scrum to an actual practice? Both new and experienced teams often need a facilitator. That’s the scrum master. How conflicts are managed and escalated. How the team works with product owners who are demanding new features or are reluctant to prioritize technical debt? How teams channel the right work to the appropriate people to be most successful. What should be done to help team members who are struggling to complete their stories. The scrum master role has evolved to help development teams practice scrum, evolve the process, and improve its collaboration. Scrum masters’ primary responsibility is to service the team by demonstrating the values that make teams successful. They participate in team discussions by asking questions, making sure all voices are heard, ensuring the team is comfortable taking appropriate risks, and educating team members on scrum practices. Scrum masters are often responsible for managing blocks escalated by the team, organizing efficiently run demo meetings, and facilitating the discussion at retrospective meetings. Scrum masters also provide services to the product owner on managing the backlog, reviewing stories, improving communications, and reporting where required. They are the intermediary between the product owner and the development team to manage conflicts around velocity, quality, or communications. Most important, they facilitate the collaboration required to identify problem statements, review implementation options, and recommend solutions when both product owner and team have to collaborate to make a successful product or service delivery to customers. In larger organizations where agile governance is formalized, scrum masters often participate in the definition of best practices and standards. It’s common for organizations to place scrum masters strategically on the most important projects, newly formed teams, or projects that have different requirements to enable and evolve scrum practices. 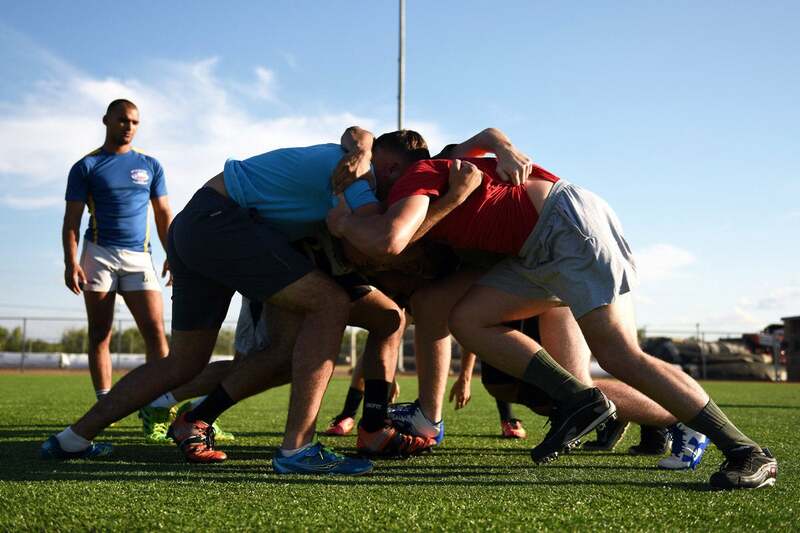 Although scrum masters often take on some of the coordination, communication, and responsibilities of project managers, their approach and core responsibilities are distinctively different. Project managers often facilitate a top-down project where the leadership has defined a business need, budget, and scope. Their methodologies mimic this top-down approach, so they look to manage teams toward the goals identified and the schedules they construct. Agile, and therefore scrum, is a bottom-up process. When teams collaborate on defining and solving problems with the user or customer in mind, when there is agreement to follow common practices, and when there is consensus on how to improve the process, the team can then apply its capabilities and skills to the goals that the business seeks. This is why scrum masters look to serve the team first and then guide them on the goals and priorities of the product owner. The other major difference is that agile is an iterative process that enables product owners to reprioritize their backlog based on customer feedback and new insights. It requires different level of collaboration, practices, and tools to help product owners and their teams align on what problems to solve and appropriate solutions when priorities can shift sprint to sprint. If you are used to managing projects with Gantt charts and assigning tasks with begin and end dates, you’re going to have to retool and think differently when working with agile teams and scrum. In scrum, the team commits to what can be done in a sprint. If, for example, the product owner prioritizes ten things for the sprint and the team commits only to seven, the product owner—with the scrum master’s help—needs to consider adjusting the scope or the timeline. This is a major shift in thinking around managing projects, but it works because the ability to use feedback and prioritize or pivot at every sprint yields better results than trying to define everything up front and then execute to this immutable plan. If agile and scrum are new to you, you might be asking whether becoming a certified scrum master, a professional scrum master, a PMI Agile Certified Practitioner, or other agile certification is necessary and worth the investment. You may be asking yourself if having a certification helps land new jobs, and does the certification provide all the necessary training to perform the scrum master role? Those may not be the best questions. If you are new to scrum, the first question should be what opportunities you have to experience the workings of a scrum team. You can easily learn the process mechanics, tool usage, requirements management, and reporting practices from books and articles. But getting teams to collaborate on solutions, fostering a healthy relationship between the product owner and the team, managing conflicts, and getting the team to improve process can best be learned from experiences. If you have access to successful scrum teams, the best learning option is to go observe and ideally join them. You’ll get insights into their scrum mechanics and how they work as a team. Ideally, you’ll participate with them in multiple sprints so you can better understand the impact of process improvement. If this isn’t an option, or if you want to shift from being a team member to having scrum master responsibilities, getting a certification can be very helpful. Most certifications can be purchased with two-day training classes that are available frequently and in many major metropolitan areas. Although they all will begin with a basic education of the scrum process, the better ones put class participants through an end-to-end sprint process to acclimate you to various scenarios. Ask around and get some recommendations from colleagues on course leaders. Many certifications let you search when a course is being offered by a specific leader. Inquire if your organization sponsors the training and certification and if it has selected a specific certification. Consider the logistics in getting certified. Ideally, you’ll pick certification courses that bring people together in a central location. There are differences in the certification criteria. The Professional Scrum Master has three levels of certification. PSM Level I requires an 85 percent score on 80 questions within a 60-minute period. You can complete this certification without a course, but the Certified Scrum Master requires you take a course and answer correctly 16 of 25 questions. The PMI Agile CP has a 120 questions over three hours and has both prerequisites and continuous education requirements to receive and maintain the certification. The best approach for many people is to get some experience being a team member, then consider whether and how to get certified. If you become a scrum master, consider keeping a journal of practices and solutions that you can reapply as new situations arise. Being a scrum master is a role where you will always be learning, teaching, and executing. Isaac Sacolick is the author of Driving Digital: The Leader’s Guide to Business Transformation through Technology, which covers many practices such as agile, devops, and data science that are critical to successful digital transformation programs. Sacolick is a recognized top social CIO, a long-time blogger at Social, Agile and Transformation and CIO.com, and president of StarCIO.